Roofers Denver Tips: Why Should You Choose a Pitched Roof? Advancement in technology that leads to better insulating and waterproofing materials find many people gravitating to flat roofs as a viable option in house construction. However, the traditional pitched roof still holds a lot of attention not only because its design had been tested through the years but also because people believe that a house with pitched roof feels more like home. If you are one of the traditionalists who think pitched roofs are the better option, you are not actually wrong. Pitched roofs have distinct advantages that other roof designs, such as a flat roof, do not have. Here are some expert roofers Denver tips about why you should select this option for your home. Pitched roofs have two slopes on each side that rise and meet at the apex. The construction leaves wide usable space in the loft area. Most people use the extra space for storage, additional living room, recreation room or even a study area. The materials used on pitched roofs are not only durable but also weather resistant and can therefore last a long time. The design of the roofs, angled in such a way that rain, snow and ice tend to slide down to the ground through the gutters and downspouts, afford better protection against the harsh elements and ensure longer lifespan for the roof. Pitched roofs afford better insulation to the interior of the house compared to flat roofs, which could suffer from extreme temperatures. This feature is particularly significant in areas with extreme weather conditions. A house with pitched roofs can easily blend with adjacent and neighboring houses. 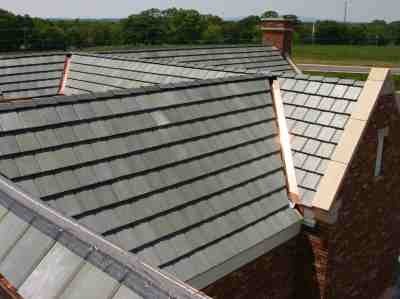 An angled roof also appears natural and great for extensions such as garages, porches and workplaces. Many people regard houses with pitched roofs as more appealing and suited for residence since they evoke feelings of traditional homes. Flat roofs are generally associated with buildings and offices. Flat roof repairs cost significantly more than pitched roofs. While pitched roofs may cost more to install, they pay for themselves in the long term because they last long and cost less to repair. All roofs, including pitched roofs, require periodic inspection and maintenance to ensure several years of optimum condition. If you are not comfortable walking on top of angled roofs, you can just walk around your house from your front and backyards. You will be able to see practically the entire roof due to the tilt of the roof.